The 1946 Fighting Irish won the National Championship with an undefeated record of 8-0-1. It was the first of back-to-back National Championships for Head Coach Frank Leahy and the Irish. This was in the middle of a run that many call the most successful run by any collegiate coach ever. 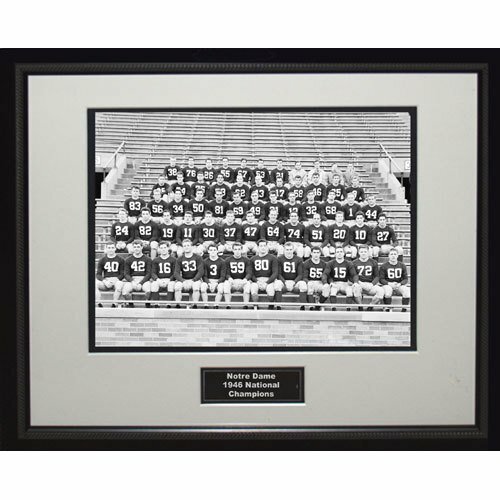 This framed black and white 16x20 team portrait comes complete with a name plate black and white matting and a black frame. If you have any questions about this product by Steiner Sports, contact us by completing and submitting the form below. If you are looking for a specif part number, please include it with your message.